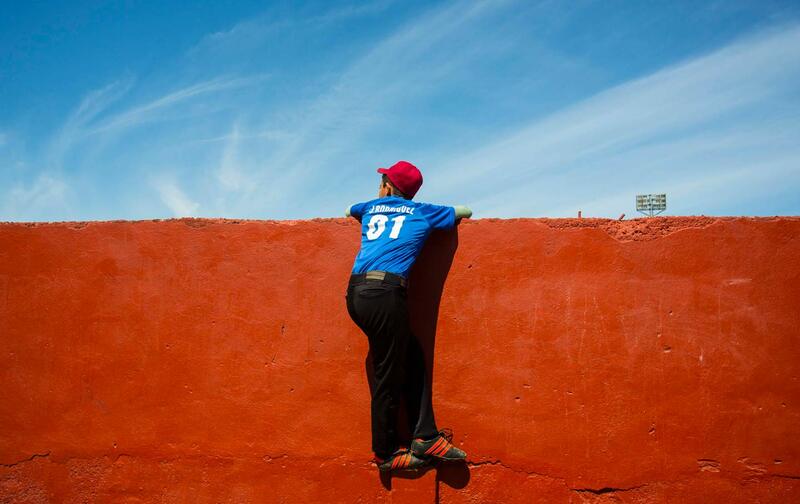 What’s Next for Cuban Sports? Here’s a perspective from Baltimore Orioles owner John Angelos, who attempted to use baseball to liberalize relations between the two countries. John Angelos is the chief operating officer of the Baltimore Orioles. He has also been a leading voice for almost two decades on opening up relations between the United States and Cuba. Angelos helped organize the historic “home and home” series between the Baltimore Orioles and the Cuban National Team. We spoke about the role of sports in Cuba and how that role may change following the death of Fidel Castro. Dave Zirin: What is the role of sports in Cuban society and how would you say it differs from that in the United States? John Angelos: The system is very different. This is a system that really revolves around an effort by the Cuban government after the  revolution to make sport of all type an integral part of life for all Cubans. They do that through a state-run group known as INDER: the National Institute of Sport, Physical Education, and Recreation. They promote sport and have a variety of local, regional, and national manifestations. There are youth academies in, I think, 20 or 25 or maybe even more sports. For American purposes, people would describe it as more of something like what we used to see in the old USSR in terms of a Soviet-style academy system that’s funneling the best players up. In the United States, we have something like that in a more formal way in the US Olympic Committee and various training centers, but that’s supported by public and private resources, where clearly the Cuban process is a centralized approach to funneling athletes where their talents can be optimized. Since 1959, when Fidel Castro started the new process or post-revolutionary approach to sports, one of the main goals was to bring sports and physical education to all of the people on the island. Fidel considered access to sport and recreation a basic human right and an indispensable attribute in order for society to be better and for the people to have sound body and mind. At that time, professional sports were banned and so were private costly schools. Kids were selected using two basic screening methods: aptitude and attitude. The same process was introduced for the study of music, dance, etc, with the government coining the term cultura física (physical culture). The slogan coined during a speech many years ago (over forty) was “Sports are the right of the people,” and the goal was to eliminate economic or social impediments to kids playing any and all sports. Today, regardless of your personal interests, kids are playing stick ball, baseball, softball, basketball and now soccer, all over—in parks, on the streets—much like anywhere else in the world. The more classically elite sports (rowing, tennis, golf, swimming, diving, equitation, etc) are not as popular, mainly for economic reasons…the state needs more resources to make them available, and this is challenging under current circumstances. How central is baseball to Cuban sports culture today? It definitely is central for a lot of reasons. Fidel Castro played baseball himself and there was clearly an effort to play a game that has been in Cuba since the mid-1860s: everything from Sugar Mill baseball and amateur forms of baseball as well as what would be the equivalent of American professional baseball. But baseball has become, since 1959, a sport where the Cubans felt that they could play the United States’ game and perhaps be better at it than the United States. And we know that in many ways they were better at it—certainly in the international competitions of elite players. Which is just remarkable given the size of the country. The actual pool of talent is so much smaller than the United States. That’s exactly right. Cuba is 11 million people, which is about the same size as the Dominican Republic, which has also produced a lot of baseball players. But Cuba, in terms of Olympic medals in baseball, and the international World Cup, has excelled. On a per capita basis, when you look at all sports, there are many, many times the number of medals per person than most countries, including the United States. Do you see the passing of Fidel Castro changing Cuba’s athletic relationship to the rest of the world? The question is really whether Cuban baseball players will be able to come to America and participate. Major League Baseball has players from around the world—Asian players and Latin American players. We had reached a point where it seemed like there was going to be some movement on this under the Obama administration. Now everybody—Cubans and people in the United States alike—are waiting to see what’s going to happen with our new administration and whether relations will be rolled back. So, I don’t know what’s going to happen there or here with respect to Cuban athletes. But certainly, there are a lot more imperative issues in Cuba than baseball. I was down in Cuba in November 2015 and you could see that there were people from American industries going down there. We need to engage the Cuban government, but how much compromise there is going to be under this administration—or any administration in this country—to meet the Cuban people halfway is the question of the moment. Talk about the historic two-game “home and home” series in 1999, in which the Orioles traveled to Havana for a game and the Cuban National Team played at Camden Yards in Baltimore. The idea for taking the Orioles in 1999 to Havana and having the Cuban National Team come to Camden Yards was really my father’s idea. He, working with the Clinton administration and others, wanted to see this governmental divide be transcended by bringing people from Cuba and people from the United States together. And I would also add that we exchanged arts and culture and medicine, and did “people to people” exchanges as well. We did things like bring Johns Hopkins doctors to Cuba and have Cuban doctors come to America. We took people from the Peabody Conservatory in Baltimore down to Cuba and had musicians from Cuba come to Baltimore, and of course, baseball was the catalyst and the linchpin for all of that, but the idea was exchange. We thought that what we did in ’99 would happen over and over again and unfortunately it did not. Right now, the embargo has really taken its toll and what President Obama did was long overdue. Even for him, it took six or seven years to get to it. I’m sure he wanted to get to it earlier. The Cuban people need it. They need us to get past these ideological divides and they need their own government to get past those divides as well, if it is possible. Because it is hard to be a country of 11 million people under an embargo for 60 years by a country of 300 million people. So I hope that we can get past these problems and start trading with Cuba and doing more exchanges. What about the US elections? We have this historic thaw that’s taken place in the last year. What do you think is going to happen going forward? On one of the trips I took to Cuba [following the 1999 series], in the aftermath of that trip everybody felt really bullish [concerning normalization], and if you think of it, that was at the very end of the Clinton administration. So both President Clinton and President Obama stepped forward and made some significant overtures towards Cuba at different times, in different ways, at the tail-end of their administrations. And what followed both of those events were other administrations coming in and, at least in the case of the Bush administration, going back the other way, with the Bush administration saying, “Well we don’t want to do that, “and [doing] these infamous symbolic things like prosecuting grandmothers from America who were taking bike trips in Cuba for violating the trading with the enemy act and violating the embargo and the travel ban. In ’99, that seemed inconceivable, and then came the Bush administration and they stopped all of that forward momentum that would have benefited both peoples and instead rolled back the clock. Now, will this administration roll back the steps forward made by the Obama administration? The one thing that gives me hope for the Cuban and American people that this will not happen is that there really has been bipartisan support for opening [to Cuba], and I think a lot of that is economically driven. I would like to think it is more altruistically driven, but I think a lot of it is developmental: This is about American business wanting to go into Cuba and do business. There definitely is good bipartisan support for continuing what the Obama administration has started. Having said that, if the new president comes in and makes this an opportunity for demagoguery… I just wish everybody in America could get to Cuba as quickly as possible and meet the Cuban people. I think that a lot of Americans would ask themselves, “Why have we been doing this?” It [US policy on Cuba] cannot just be about human-rights concerns and concerns about the Castro regime, because, if that were the test, we would not be supporting monarchies and dictators and shipping jobs to totalitarian countries like China. I don’t think that is the only driver. So if Americans could get there and get more points of view from the Cuban view, the people’s side, the government’s side, all of that, I think this thing would sort itself out pretty quickly and would not end up being an opportunity for demagoguery. But I am concerned. On a different but perhaps related note, what do you think of the new labor deal MLB owners have struck with the players’ union? I haven’t seen all of the details of it, but whatever this deal has in it, there is a real opportunity down the road to create a system where baseball reflects some of the things we just talked about in the last question: equality, equity, sharing. In baseball today, you have haves and you have have-nots. You have big markets that have hundreds of millions of dollars in higher revenues and have far higher payrolls than do smaller markets. That is not the system in the NFL. In the NFL, you have big and small markets and middle markets, but they normalize that by sharing and creating true competitive balance among unequal participants. We are not there in baseball. We are not going to get there by Band-Aiding it with more playoff spots. You have to ask yourself, do the fans in San Diego really have the same chance as the fans in New York? If the answer to that is no, then you have a problem. Is that not in some ways the same question that we are asking [about Cuba and the United States]? I think that the Cuban people and the people of the Bernie Sanders point of view, of whom there are many, are asking the same question. And that does not mean socialism, necessarily. It may. It means public-private partnerships that are fair and balanced and equitable.